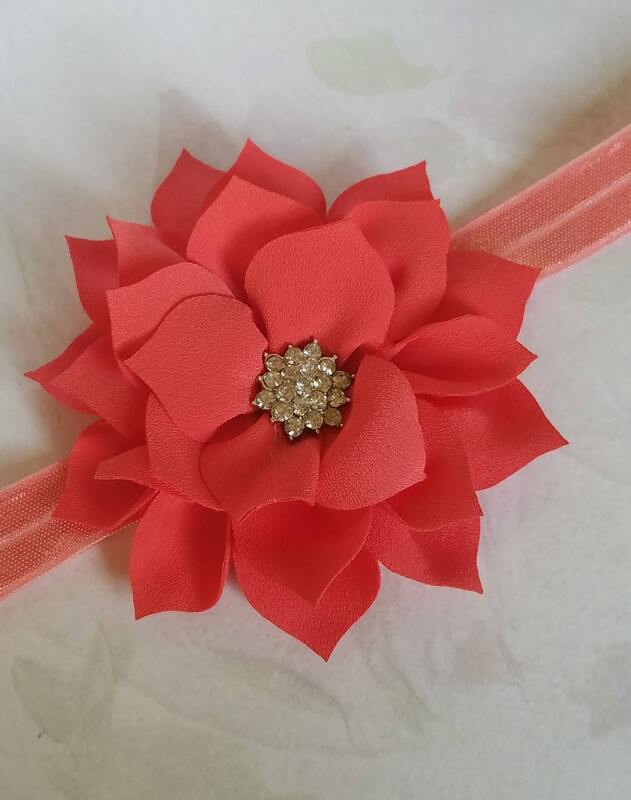 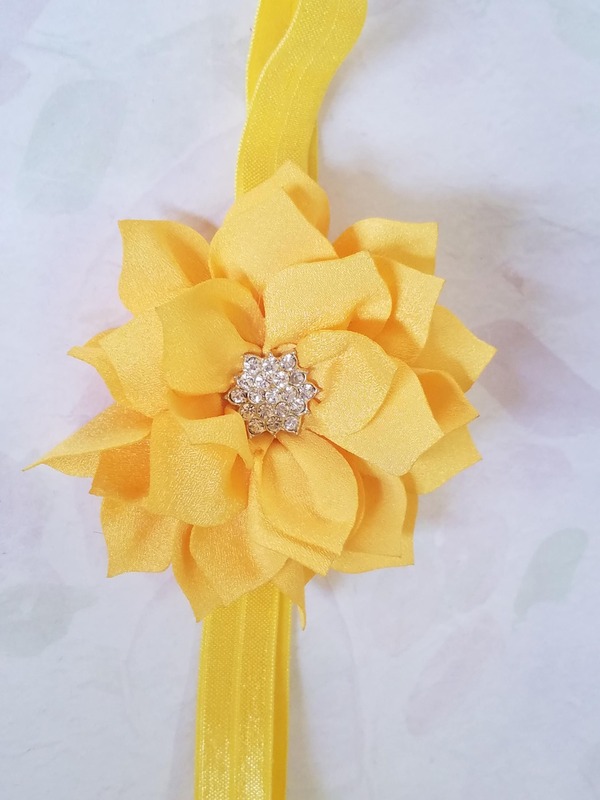 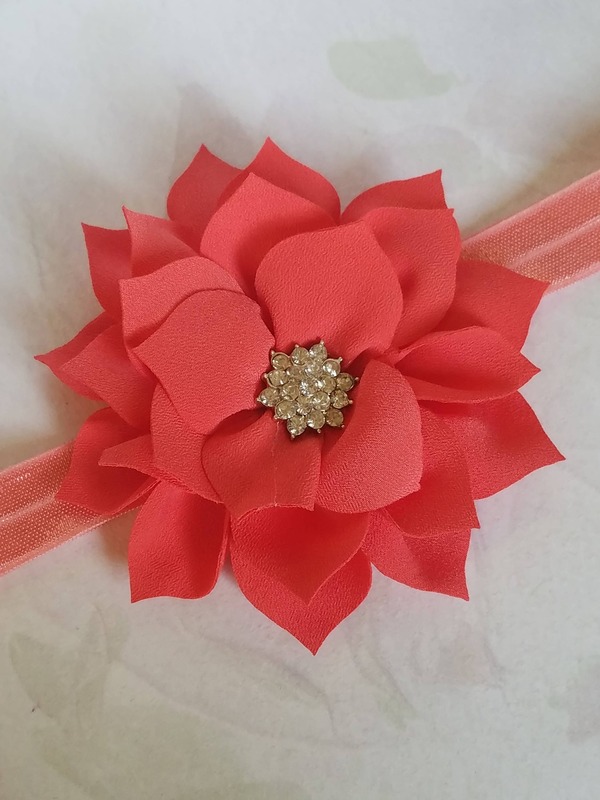 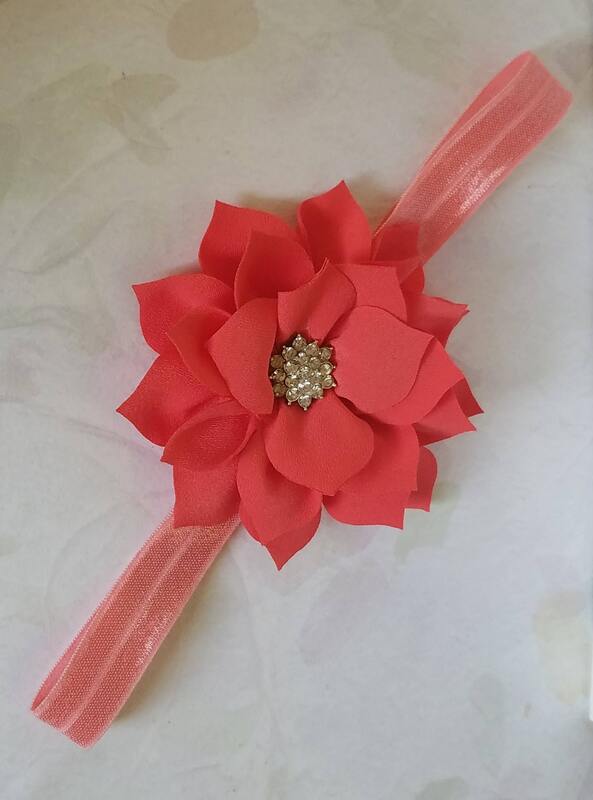 These handmade headbands have one large soft Poinsettia flower with a rhinestone center, these flowers are made from a soft fabric on a soft fold over elastic stretch headband. 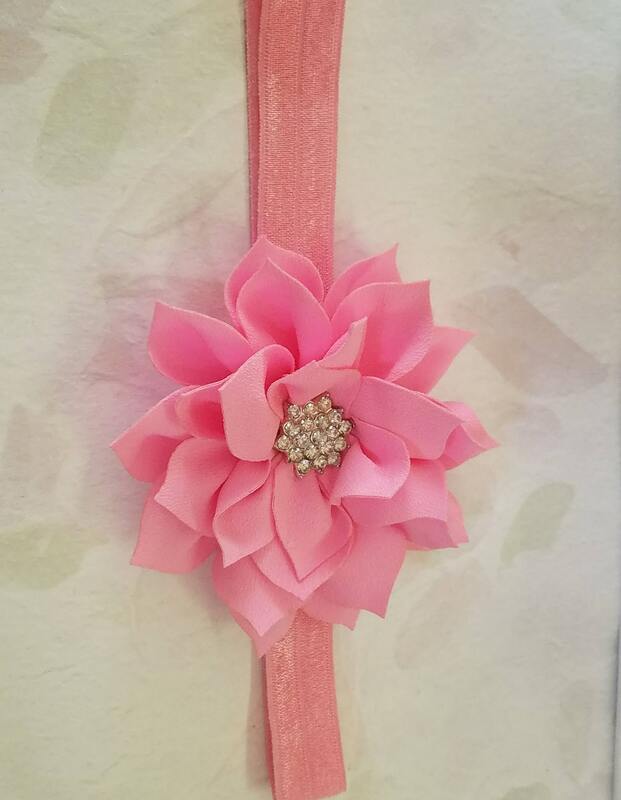 Baby Girls Accessory Photo Prop. 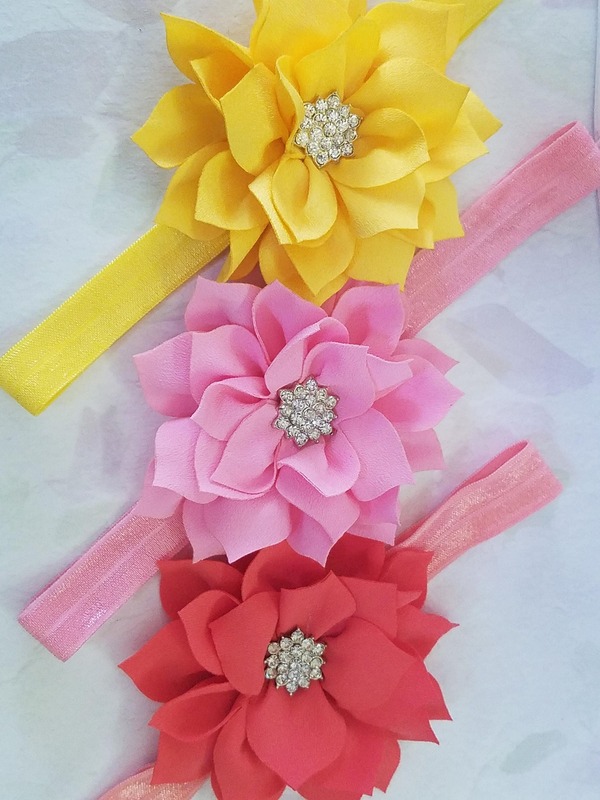 One of each color in stock and ready to ship!